9 Who among all these does not know that the hand of the Lord has done this? Gardening is a wonderful activity for children that can last from early spring until late summer, even here in the frosty Northeast. Before the snow even begins to melt, we’re already excitedly poring over our seed and garden supply catalogs, trying to decide what tasty veggies we will plant this year. 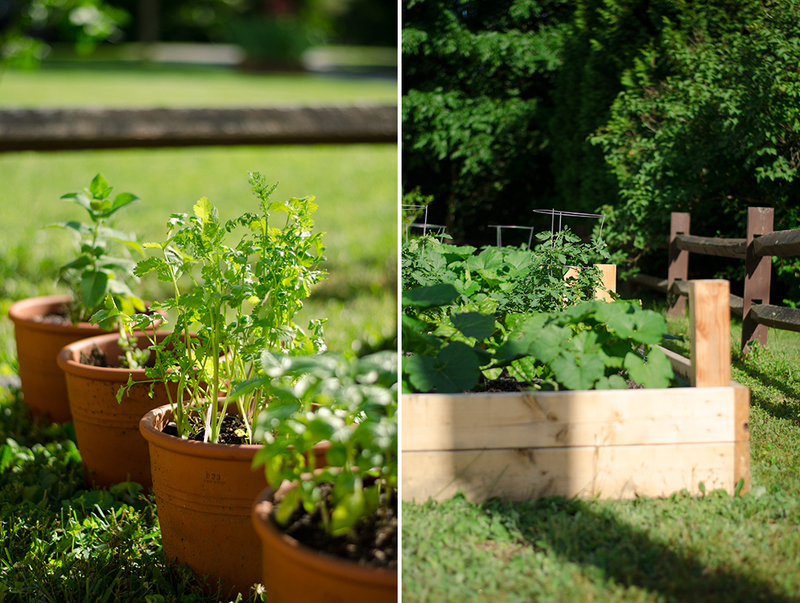 While gardening is one of my favorite warm-weather activities, I just want to note that this page is not meant to be taken as expert advice about growing a garden—there are so many resources for that already, and I am still a beginning gardener, myself. 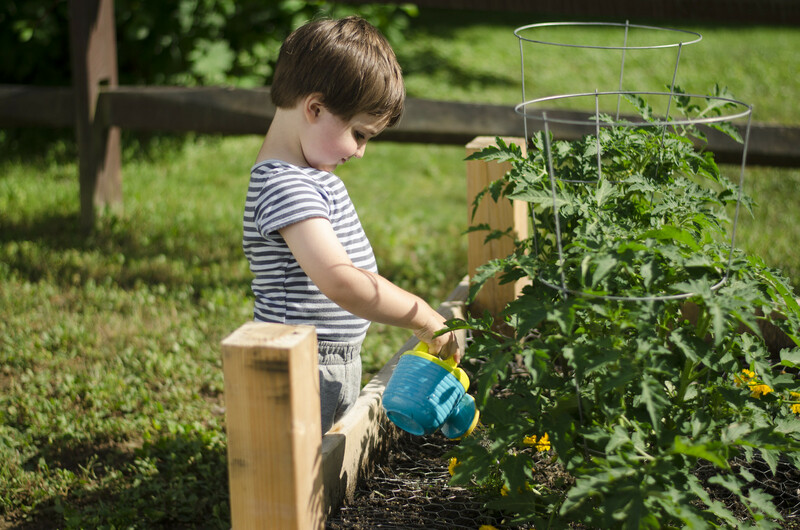 However, I thought it might be nice to touch on some of the ways that children can play a role in planning, nurturing, and enjoying a family garden. We’ve had success creating gardens straight from seed and also with started plants. I think both methods have their benefits and drawbacks. Starting from seed allows children the opportunity to really understand the life cycle of plants, which is wonderful, but there is a lot of waiting involved and not everything you plant will be successful—we constructed a beautiful pea and bean teepee one year that really didn’t thrive and that was disappointing to all of us. 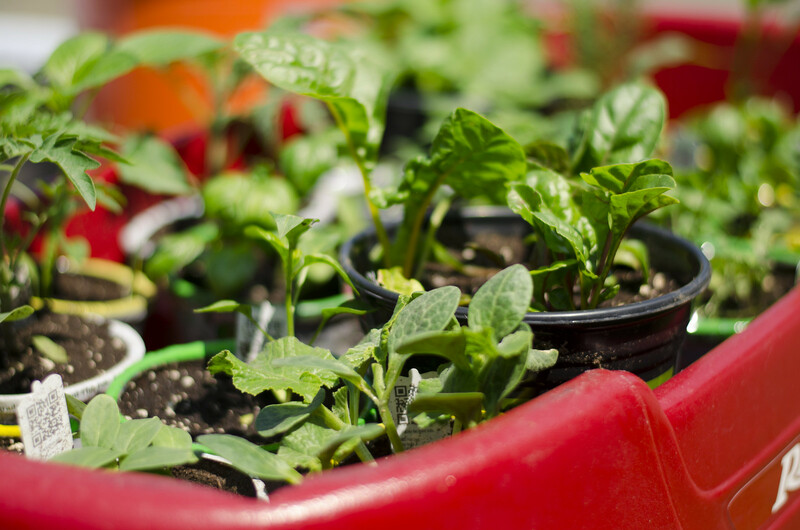 Using started plants from a nursery generally guarantees a higher rate of success, and there’s a feeling of almost instant gratification, especially with fast-growers like zucchini! The downside is that buying started plants skips one whole stage of the plant life cycle, and sometimes the plants aren’t as healthy as one would hope. Always buy your seeds and started plants from reputable growers. Vegetable gardens need a lot of sun, so it’s important to take some time to find the right spot for planting. I highly recommend using containers and/or raised beds to start, as they are so much easier to manage (i.e. less weeding), and you have a lot more control over growing conditions. We actually have two raised beds (4x’8′) in our front yard because that’s the sunniest spot—they’re off to one side, so they’re not too obtrusive. We’ve also added a 1/2-sized bed (4’x4′) that we call the “Child’s Garden” for our youngest, most avid gardener. He has a space all his own to tend, and I think that is really special for him. 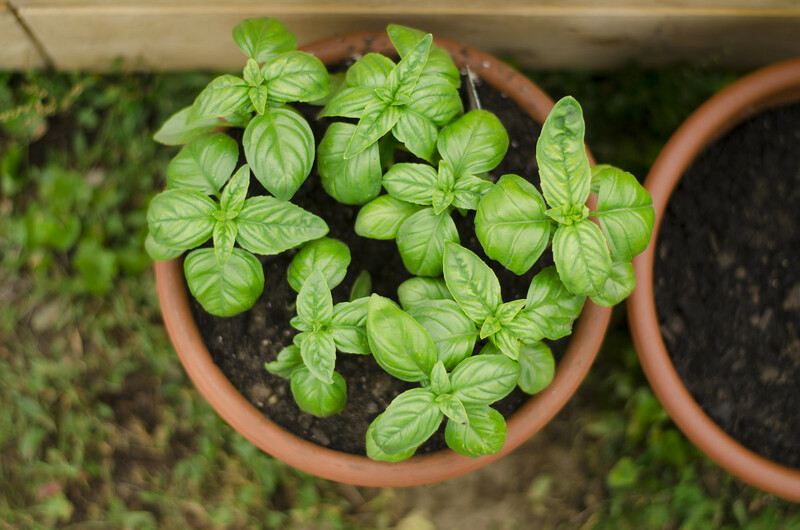 If you’re new to gardening, start with some tried-and-true favorites like herbs (basil is a good one to try) or greens like kale and Swiss chard—they’re almost impossible to kill, and they’ll keep growing until you rip them out in the fall. If you find your greens are really prolific, you can always make smoothies with the surplus! My favorite recipe is very simple: Cube a fresh pineapple, divide into four servings, and freeze in Ziploc baggies. When you’re ready to make a smoothie, blend one serving of frozen pineapple with a peeled banana and two handfuls of greens; add 1/4 to 1/2 cup of water until smoothie is desired consistency. 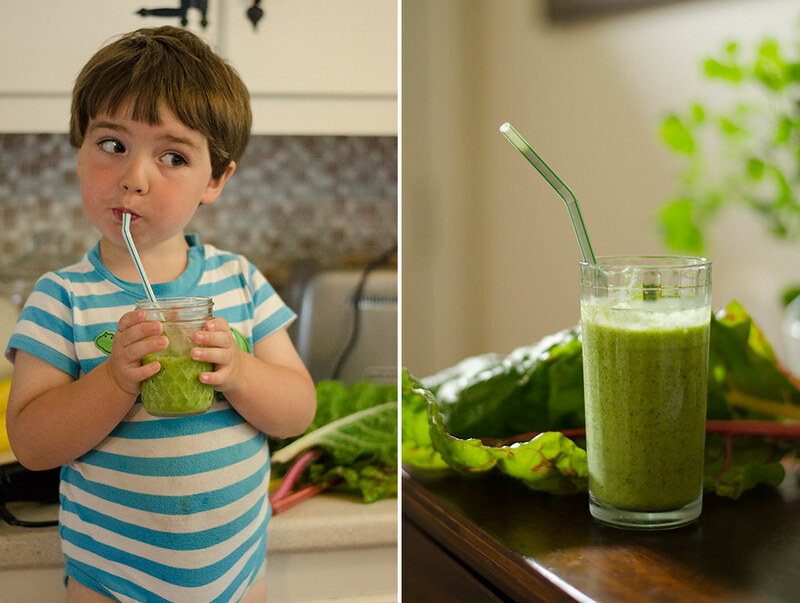 Kids love these smoothies, even when made with strongly-flavored kale. I will reiterate that there are many, many resources out there for beginning gardeners, and it can be a lot to weed through (pun intended). I recommend starting with a university extension—this excellent utility will help you find your local office. I always print out the planting schedule from my extension, which gives me a rough timeline for getting my plants in the ground, and ensures I won’t end up planting too early or too late. 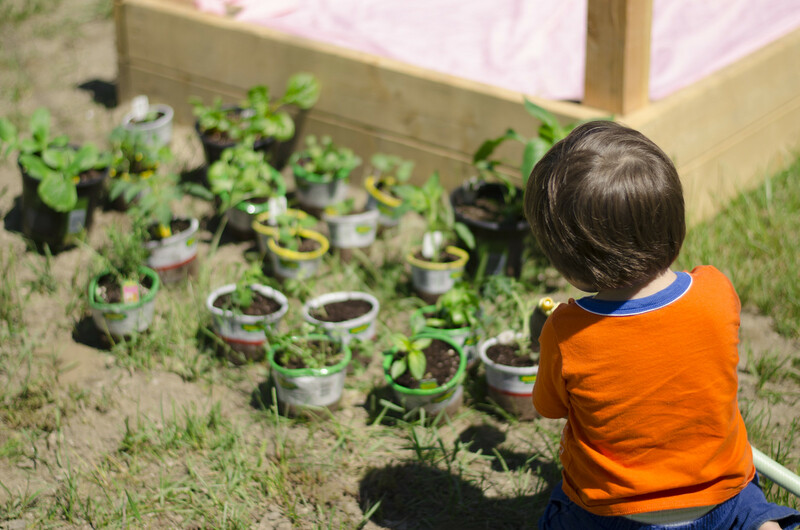 Besides selecting what to plant, there are many ways that children can help with the family garden. With supervision, they can excel at weeding, watering, and harvesting, to name a few of the many tasks that need doing throughout the growing season. We often have itinerant helpers (neighborhood kids) who stop by to assist and to enjoy a ripe tomato or two—depending on the circumstances, planting a garden can be a community affair, and even a form of ministry. and herbs and pleasure? Nothing there but delights. My final words of advice: Don’t be too hard on yourself if things go all “pear-shaped,” as the Brits say. Gardening can be very rewarding, and also very frustrating. Sometimes plants die, or get covered in downy mildew, or have blight, and that’s all part of the experience. There are ways to prevent these things, but the solutions can be expensive and/or involve chemicals you don’t really want your family to ingest. For added reassurance, I will confess that I’ve had tomato plants with nothing left but yellowing stalks and a handful of shriveled, brown leaves and yet they still produced delicious fruit. Things don’t have to be pretty to be tasty! For more inspiration, visit the “Gardening for Children” section of my recommended reading page. You can also read my posts in the “Our Garden” series on my personal blog.